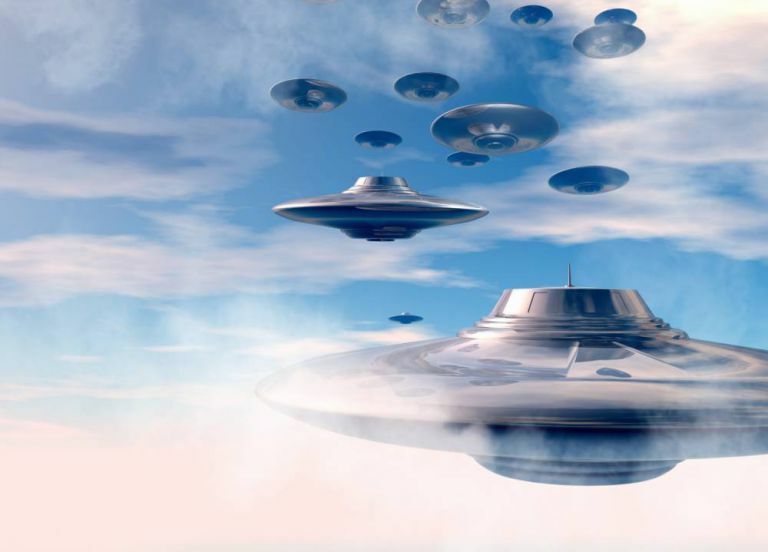 Home » UFO sightings DOUBLED last month – are the aliens up to something? Whether it’s a huge black flying saucer hovering over Stonehenge, or tiny dots flying past the Space Stations, aliens were pretty busy last month. UFO hunting group MUFON says that the number of UFO sightings doubled last month – to 1,179 unexplained craft in June. That’s a rise from just over 600 in the same period the previous year. Could we be on the verge of ‘disclosure’ – where world governments finally ‘fess up to the fact they’ve been in cahoots with the little green men for decades? Probably not, according to Roger Marsh of MUFON, who says, ‘We feel it was directly related to the final two episodes of Season 2 of ‘Hangar 1: The UFO Files,. ‘A very high percentage of the June UFO report surge were historical cases. ‘People were watching our show and decided they finally discovered a place where they could report their encounter.